Dan is a facilitator, who provides sound advice and strategies to address clients’ legal and business concerns in the areas of public, real estate and commercial finance. Dan advises lenders and borrowers on public financing matters, such as industrial development revenue bonds, tax increment financing, construction financing, multistate real estate loans, asset-based lending and leveraged leasing transactions. He also represents owners, developers, buyers, sellers, and commercial landlords and tenants in transactions such as asset purchases involving real estate; corporate real estate holdings; manufacturing, retail and healthcare development; sale-leaseback transactions; and developments supported by tax increment financing. 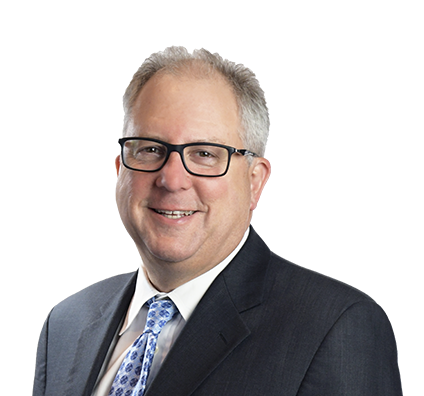 Dan also counsels construction services clients on negotiation, performance and enforcement of contract documents for new construction, office build-outs, manufacturing facility expansions, environmental remediation and marine construction projects, and healthcare development. A former industrial district in Menomonee Falls, Wisconsin, was being redeveloped with new offices, retail space, a hotel and multifamily housing. A financial services company sought the firm’s guidance in negotiating and documenting permanent loan financing. Dan led the lender’s legal counsel team in negotiating, documenting and closing the takeout financing for the project, including oversight of due diligence for the client. By keeping the deal moving and parties on track, Husch Blackwell helped close takeout financing for this significant piece of a large mixed-use redevelopment project. Represented bank purchasers and borrowers in multiple tax-exempt bond issues for manufacturing, exempt facility and charitable organization projects. Advised financial services company on refinancing involving multiple credit facilities, including bonds, as part of corporate restructuring. Represented multinational consumer products packaging manufacturer in negotiating and documenting subordinated credit facility for its raw materials supplier, in connection with bond financing for supplier's manufacturing facility. Represented multiple physician groups in planning, development, financing and construction of multispecialty outpatient surgery, imaging and medical office spaces. Represented national shopping center real estate investment trust (REIT) in negotiating and implementing municipal development agreements for redevelopment of regional shopping center in southeast Wisconsin. Counseled private university on obtaining municipal approval for development, construction and use of new campus student center. Advised natural gas transmission pipeline company on negotiation of relocation arrangements for pipeline facilities in connection with development of intermodal facility near Joliet, Illinois. Represented multinational manufacturer of consumer products packaging materials in acquisition and divestiture of several U.S. facilities. Advised national healthcare development firm on negotiation of development agreement and financing documents for $50 million hospital expansion. Counseled national healthcare development firm on preparing master building lease for hospital-owned outpatient surgery center. Advised acquisition target and acquiring entity on senior secured loan financing for $750 million corporate acquisition. Advised national banks on negotiating and documenting construction equipment and commercial truck dealer financing arrangements as both single bank and syndicated/club transactions. Advised national and state chartered banks on asset-based financing arrangements, both as single bank and syndicated/club deal transactions. Represented Milwaukee-based investment management firms in negotiating and structuring multiple repurchase transaction arrangements with broker-dealer counterparties, which involved government-guaranteed loan program assets including SBA Section 7(a) loan assets, SBA Section 504 first mortgage loan assets, and USDA loan assets. Advised marine construction and environmental dredging firm on negotiation and documentation of general contracts, subcontracts, teaming agreements and joint venture agreements for multiple environmental remediation and marine construction projects throughout the United States, including the approximately $750 million environmental cleanup of Lower Fox River in Wisconsin and participation in U.S. Environmental Protection Agency's implementation of $150 million Great Lakes Legacy Act program. Represented multinational manufacturing companies in negotiation and documentation of construction and design-build contracts for new construction and for expansion of existing facilities. Represented developer entity for Fortune 500 corporation in negotiating and documenting architectural services, construction management and general construction contracts for design, development and construction of $11 million corporate headquarters and $50 million expansion of electrical transformer manufacturing facility. Once a year, Dan assumes the role of travel planner/mission control, as he organizes a golf vacation for friends and family. The annual trip started in Myrtle Beach, South Carolina, with a group of six, and has since expanded to as many as 24 participants and to the home of golf. Dan picks the site each year, and coordinates hotel reservations, tee times and transportation. Among their destinations, his group has visited: Scotland, Ireland, Pinehurst Resort in North Carolina, New Mexico, Nevada, both coasts of Florida, and the Robert Trent Jones Golf Trail in Alabama. Dan serves on the board of the Hmong American Peace Academy (HAPA), a charter school in Milwaukee. A college preparatory school, HAPA empowers students as peace builders and instills cultural pride among the Hmong, a minority ethnic group in Laos and Vietnam. He also volunteers at Clarke Street School, one of the Milwaukee public schools, supporting its quarterly awards program.